The Panasonic Hard Disk Drive Video Recorders are very popular for the convenience to store movies on the internal hard drive. We can recover the video from the HDD and transfer it to say a hard drive you can place in Windows machine. The reasons people wish this to be done are often due to 1. The recorder no longer works, 2. The video was accidentally erased, deleted or drive re-formatted. Please immediately switch off the recorder as continued use may overwrite the existing video. Call or email us for fixed quote and fast turn around. If you need a Panasonic Recorder Transfer Video from HDD service, then contact our friendly company. 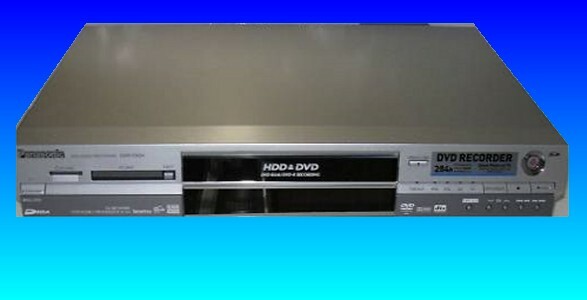 The Panasonic Hard Disk Drive Video Recorders are very popular for the convenience to store movies on the internal hard drive. We can recover the video from the HDD and transfer it to say a hard drive you can place in Windows machine. The reasons people wish this to be done are often due to 1. The recorder no longer works, 2. The video was accidentally erased, deleted or drive re-formatted. Please immediately switch off the recorder as continued use may overwrite the existing video. Call or email us for fixed quote and fast turn around..